We are proud to offer the very latest gum recession breakthrough treatment that has been described as quick, easy and instantly pleasing. Pinhole Surgical Technique requires no cutting, no stitches, virtually no downtime and can often be completed in less than an hour. During the Chao Pinhole Surgical Technique™, a needle is used to make a small hole in your existing gum tissue. Through this pinhole, special instruments are used to gently loosen the gum tissue. These tools help expand and slide the gumline to cover the exposed root structure. 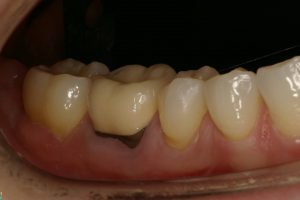 The technique simply involves the adjustment of the existing tissue. Gum recession refers to the loss of gum tissue along the gumline. This can occur as a result of periodontal disease (gingivitis, periodontitis, advanced periodontitis), the natural ageing process, or abrasive habits when it comes to brushing the teeth. 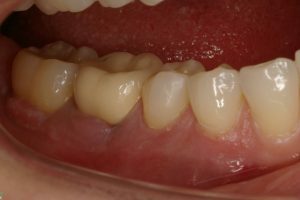 HOW DOES THE CHAO PINHOLE SURGICAL TECHNIQUE (PST™) DIFFER FROM TRADITIONAL GUM GRAFTING? 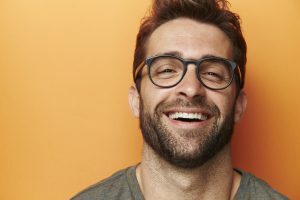 Chao Pinhole Gum Rejuvenation™ takes just a few minutes per tooth and most importantly, multiple teeth may be treated at the same time, allowing patients to have healthy, normal-looking gums with a minimum of inconvenience. After treatment, patients can resume their normal activities, including eating. For a free of charge consultation contact us at Thorpe Lea Dental, Staines.